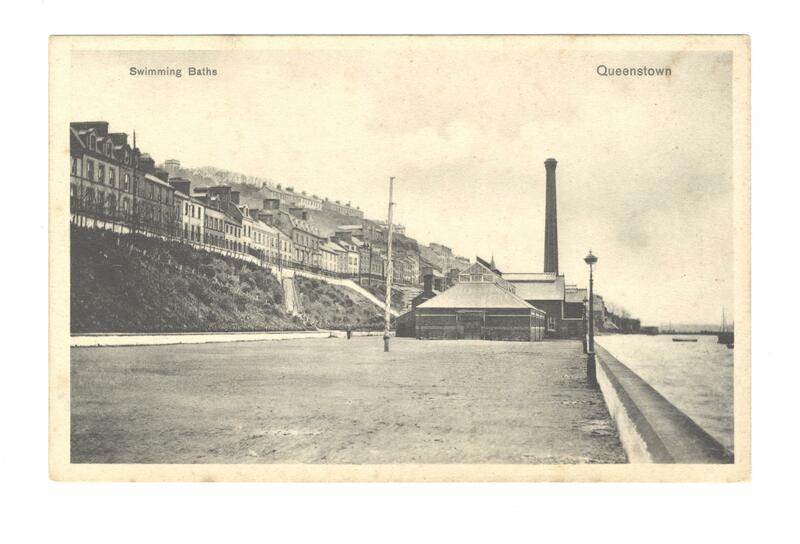 Swimming Baths, Queenstown. 'In order to deal with the large numbers of emigrant passengers and those poor unfortunates not deemed 'clean enough' by the authorities to travel, the Queenstown Swimming Baths, situated at the eastern end of town, was pressed into service and served the dual purpose as delousing station and steam sterilization plant.' Queenstown Liner Town.